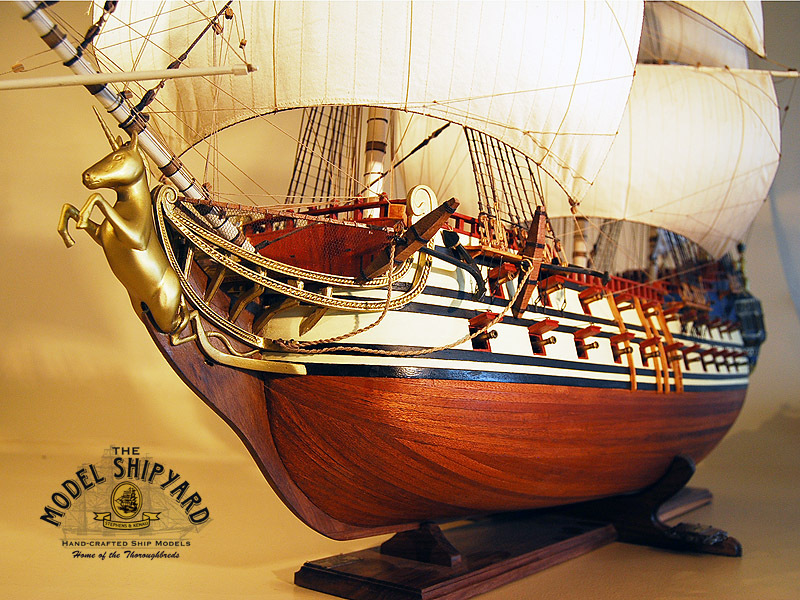 This model ship of the HMS Unicorn was comissioned by WETA Digital New Zeeland as a birthday present for Steven Spielberg for his sixty fifth birthday. 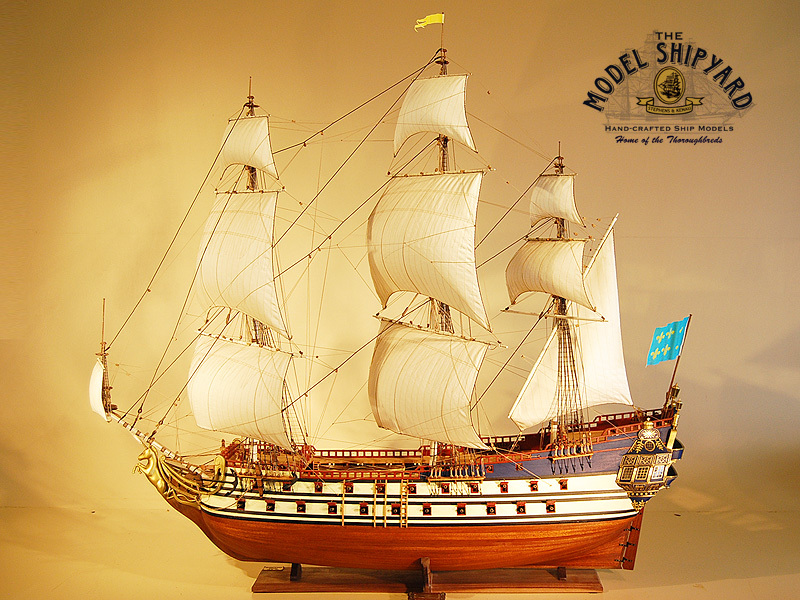 The information that was used to design this model has been provided to us by the crew that did much of the visual effects production, including previsualisation, animation, performance capture, simulation, compositing, modeling, rendering, and research for the Tintin Movie. 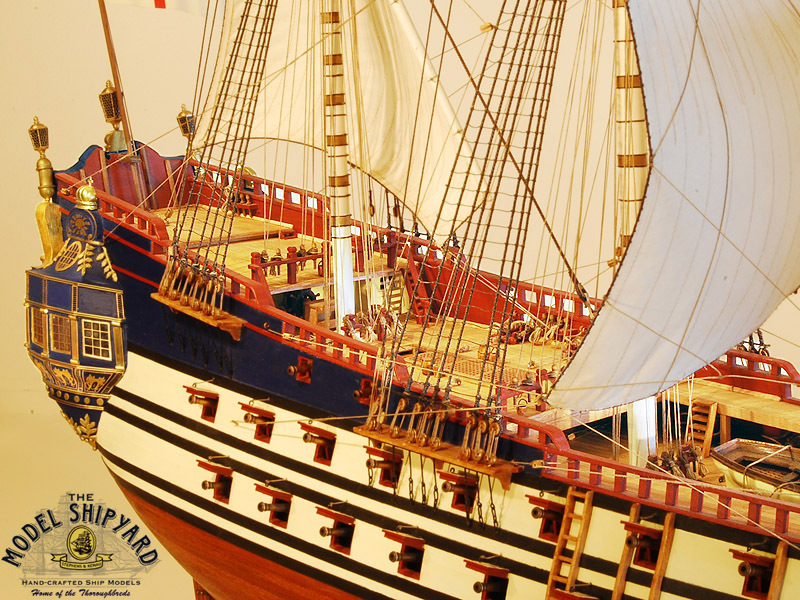 From a book by the author of Tintin, Herge, they learned that he used the 50 gun french ship Le Brilliant as reference. He also studied Le Soleil Royal, La Couronne and La Royale de France and he used some pieces for specific details. 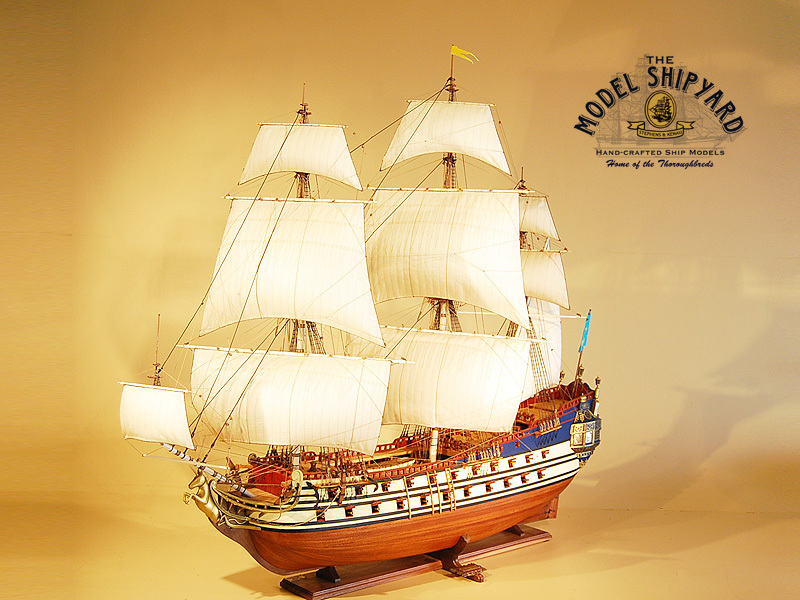 They found that there were plans and a historical model of the Le Brilliant at the French Maritime Museum in Paris. They discovered that quite some time ago a French magazine published the plans of the Unicorn as derived by the comic book. 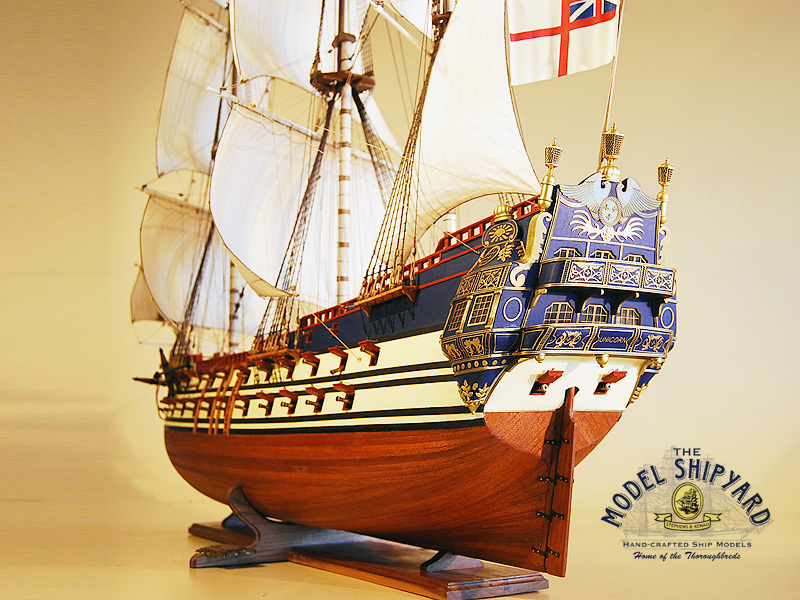 They used these plans as integration for the model but they tried to stick as much as possible to the Le Brilliant because it was historically more accurate . 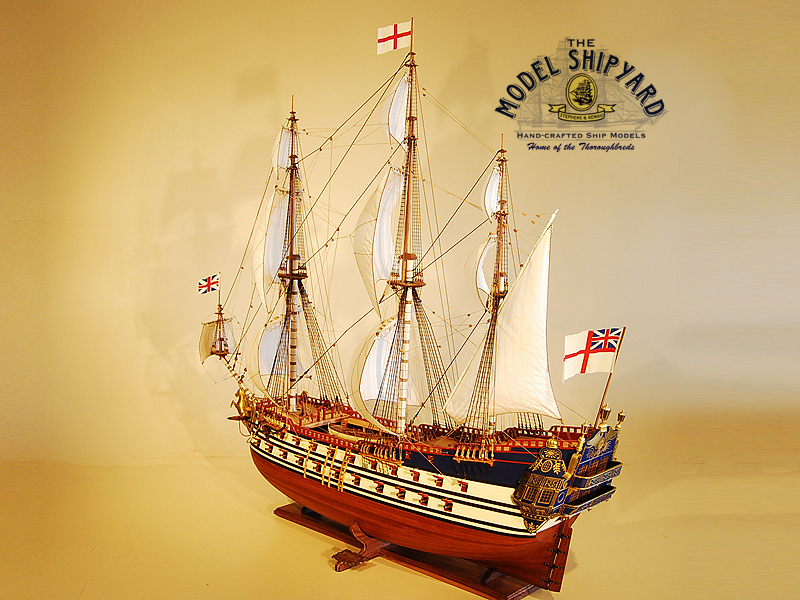 However the Unicorn they ended up building was quite different from the plans of Le Brilliant, mainly on the gun ports, the deck heights, the channels for the shrouds and the quarter deck. 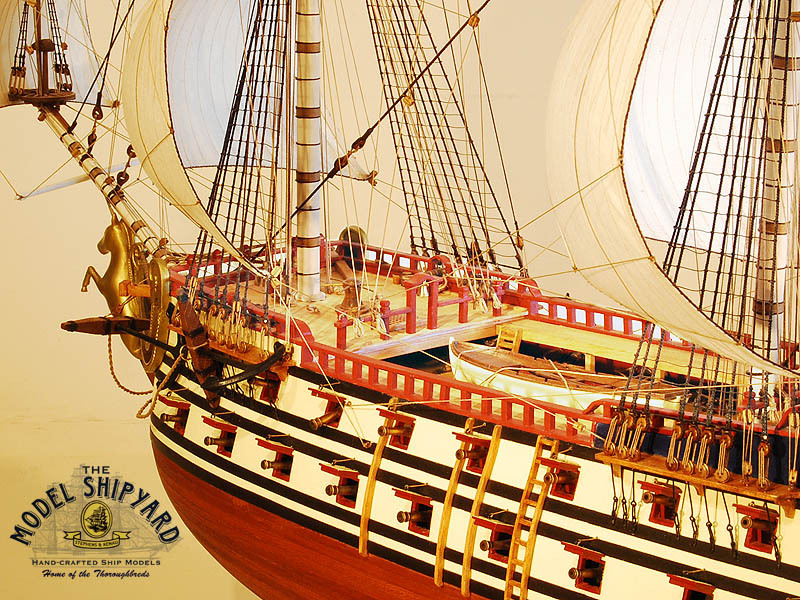 The deck details and other components was build using the descriptions and specifications from the book “The 74 Gun Ship” by Jean Boudriot. et, risus mattis venenatis, quis, consequat. Lorem facilisis risus.